What are the implications of China’s recent rise in Forex reserves? China’s foreign exchange reserves rose in March, the first time in almost half a year. 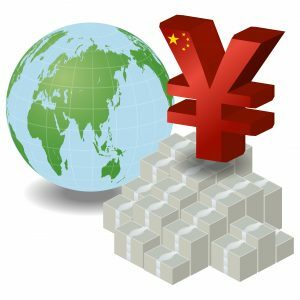 Data released by the People’s Bank of China showed that foreign reserves rose by $10.3 billion to $3.2 trillion, the first rise recorded in five months. Reserves had fallen by $28.6 billion in February and by almost $100 billion in January. It was the first rise since October 2015 but still left the reserves some way short of the all-time high of $3.99 trillion in June 2014. According to a report in the Financial Times, a strengthened Renminbi has helped reverse the decline in China’s reserves, by alleviating the need for the central bank to sell its stock of foreign currency to prop up their own currency’s value. For those still wondering what the difference between the renminbi and the yuan is (and the two are often used interchangeably), the renminbi is the official currency of the People’s Republic of China. The yuan is the name of the unit in which that currency is denominated but it is also used casually to refer to the currency in more general terms. The Renminbi’s value has been climbing against the US dollar over the past couple of months, following it hitting a five-year low in January. According to the FT, this reduces the chances of an increase in capital flight, where businesses, individuals, and households rush to pull their assets out of China. When the country’s growth recently slowed to its lowest rate since building up a head of steam in the 1990s, capital has started to leave in record volumes. According to estimates in a recent report from the Institute for International Finance, capital outflow from the country reached around $676 billion last year. China’s foreign currency reserves is a closely guarded secret. Other March data, such as the purchasing-managers-index readings for the country’s service and manufacturing sectors also hint that China’s economy as a whole is experiencing a slight recovery, but not everyone is convinced that a long-term recovery is on the cards. The WSJ reported that around 85% of Hayman Capital’s portfolio was invested in trades that could represent billions of dollars that are expected to pay off if the yuan and Hong Kong dollar continue to depreciate substantially over the next three years.